What Does This Station Look and Sound Like? Note: Before you have students participate in Station Rotation student led discussions, make sure that students are familiar with the strategy/structure first--meaning they have participated in it during Whole Group. Another idea to keep students individually accountable is to have students record their ideas on poster paper or a large whiteboard. Each student has a different colored marker. 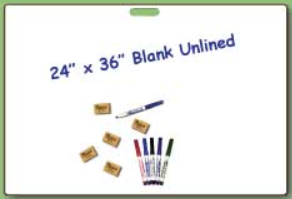 Email your ELA TOSA if you are interested in borrowing large whiteboards for your Station Rotation.